I am ready for bright springy colors. This winter has seemed to drag on forever. 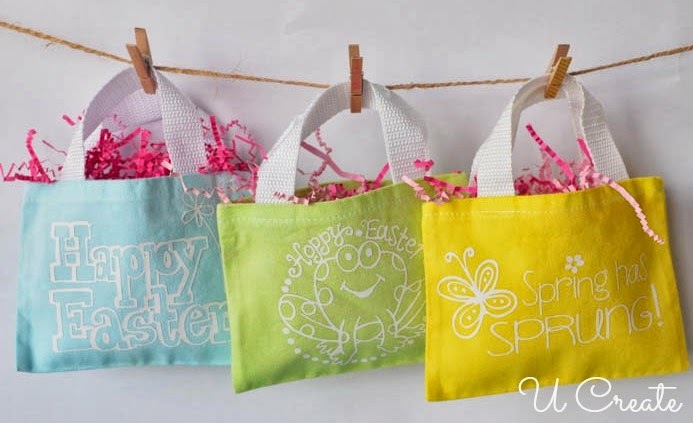 That being said, I decided to create some bright fun Easter Gift Bags. 1. Fill the sink enough to submerge the bags completely under water. Use HOT water! 2. 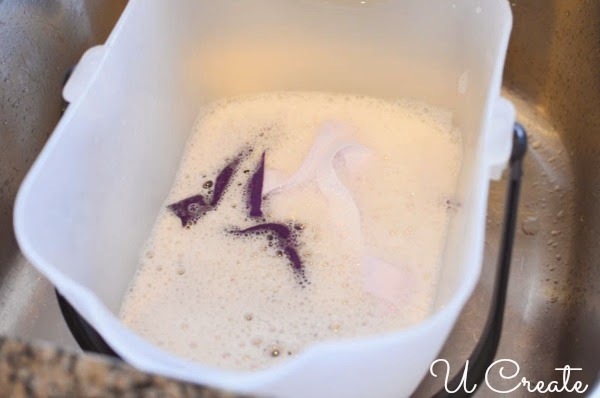 Dump 3 capfuls of RIT dye into the sink and stir around with a wooden dowel or spoon. 3. 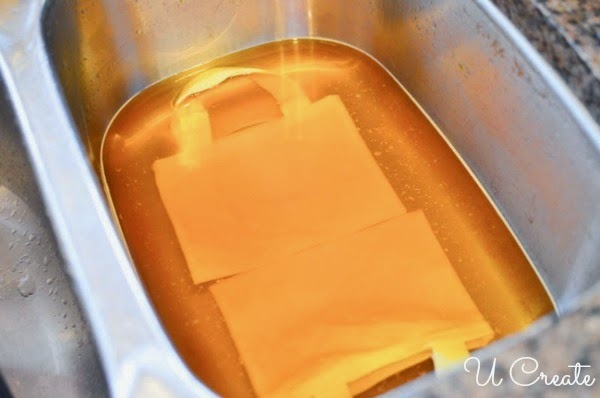 Drop the bags into the sink and make sure they are completely submerged. The handles float a bit, but that is okay because they won’t dye anyway…they are polyester. 4. 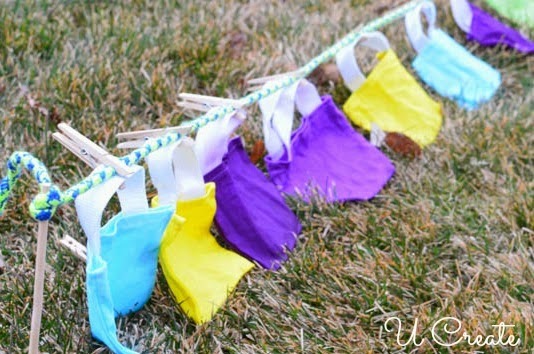 When the bags at the color you like, take them out of the water and rinse them with cold water. 5. Then wash them in soapy cold water and then rinse off the soap. Rinse until the water run clear. 6. Hang them to dry. I hung them from my blinds in the kitchen, but my son came up with this “better way” using 2 wooden dowels, a rope, and some knots he learned in scouts. 7. 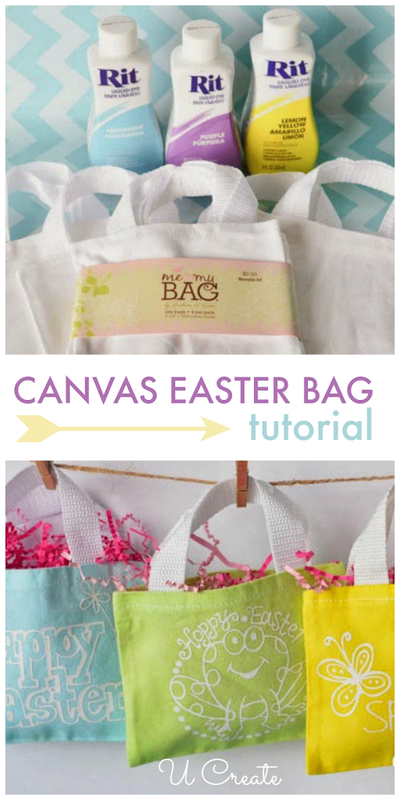 I let them dry completely and ironed the canvas part of the bag…don’t iron the handles; they melt! 8. 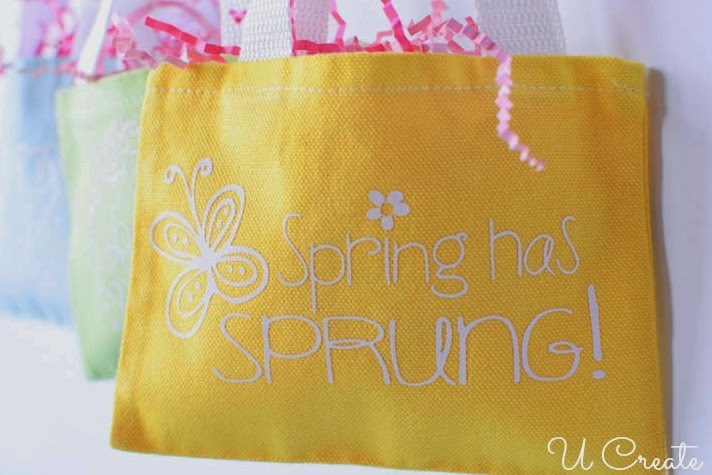 Using my Silhouette Cutting Machine and the Janda Spring Doodles Font, I created some small heat transfer to doll the bags up a bit more. 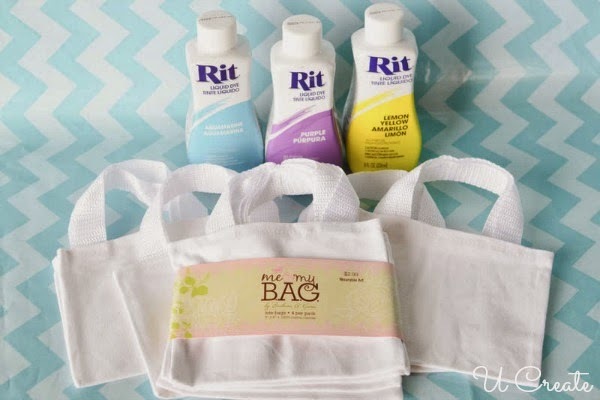 One more reason EVERYONE should add a craft cutter to their craft supplies! 9. I filled the bags with crinkled paper and small treats; now they are ready for neighbors and friends. 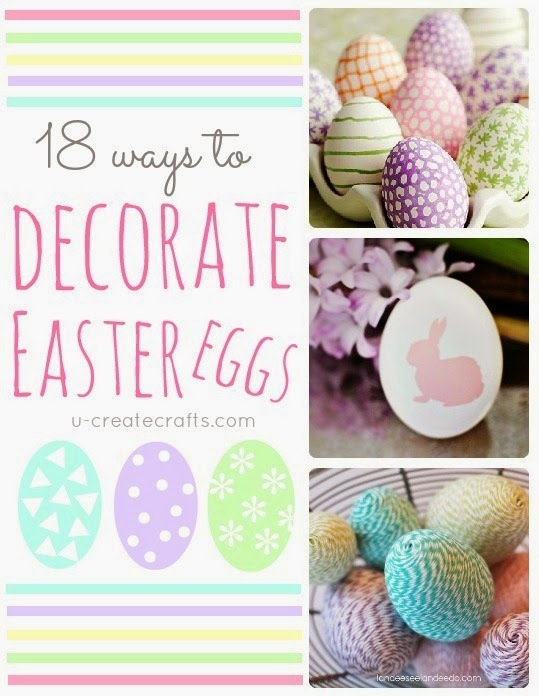 Check out our Egg Decorating Round-up for more fun Easter Ideas. I have an enamel coated sink instead of stainless, I think if I will dye something small, it will be in a large stockpot instead. These are super cute, I especially love the decals!